Gushing water, dazzling lights and cutting-edge designs – what was once a purely functional utility for bathing and washing, became a most sophisticated piece of architecture and a thrilling expression of artistic creativity. Take a look at some of the world's most fabulous fountains and let your mind flow with the way of the water. It's not really a fountain that's in the spotlight here, but rather the giant steel representation of the Globe that sits within the pool in Flushing Meadows-Corona Park in Queens, New York. 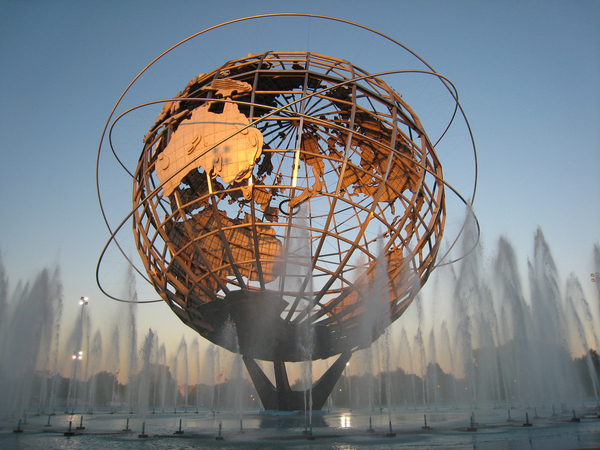 The Unisphere was constructed as the symbol of the 1964/1965 New York World's Fair, whose theme was "Peace Through Understanding", and represented the idea of global peace and interdependence. The construction is 140 ft (50 m) high, 120 ft (37 m) in diameter and weighs 900,000 pounds (408 tons).